How Does Bankruptcy Affect Interest Rates on Loans & Credit Cards? Mortgage loans have become pervasive as a way to purchase a home, since most people don't have the cash to buy a home outright. When reviewing a mortgage application, a lender looks at your income and employment stability. The lender will also check your credit. If you carry a balance on a credit card, that balance may impact not only your credit but your approval for a mortgage loan as well. Your credit score is based on the credit information found in your credit report. For example, 30 percent of your FICO credit score measures how much debt you owe. This includes the amount you owe on revolving credit accounts, such as credit cards. According to myFICO, your credit utilization on these revolving accounts can impact your score. A credit utilization rate measures the balance you have on a credit card versus the amount of available credit you have. The more available credit you have, the lower your credit utilization ratio and the higher your credit score. Alternatively, the less available credit you have, the higher the credit utilization ratio and the lower your credit score. Generally, the less debt you have on a credit card, the better your score. Your goal is to have as high a score as possible when you apply for a mortgage loan. 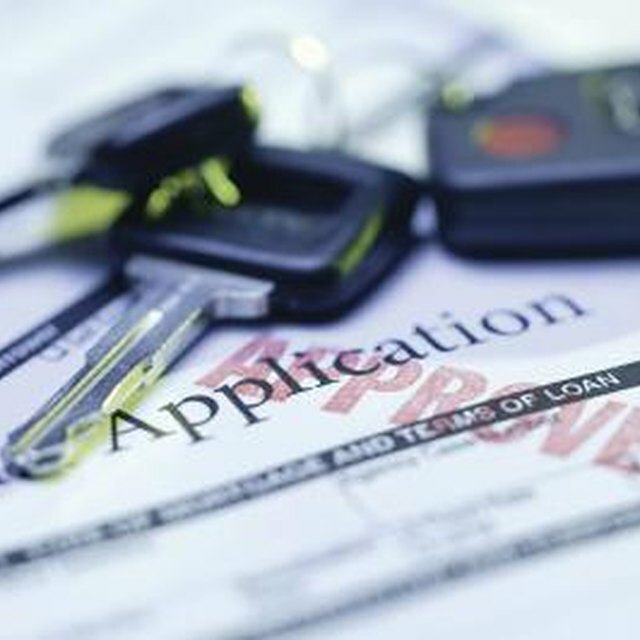 A low credit score may lead to a denial of your loan application. The credit score you need for a mortgage loan approval will vary from lender to lender. For example, according to LendingTree, to qualify for a government-backed loan such as Fannie Mae or Freddie Mac, you will need a FICO credit score of at least 620. The higher your credit score, the higher your chances for a loan approval. You credit score can also affect the interest rate you receive on a mortgage loan. Higher credit scores generally receive lower interest rates. According to myFICO, as of December 2012, a FICO credit score between 760 and 850 may receive a mortgage loan interest rate as low as 3 percent on a 30-year fixed rate mortgage. Drop the credit score to between 620 and 639, and the interest rate shoots up to 4.59 percent. The amount of credit card debt you have not only will affect your loan approval and interest rate, but it can also affect the size of a loan you can be approved for. When evaluating your application, the lender will take into consideration how much your currently owe on your other debts. The more debt you owe to someone else, the less debt you can afford to take on via a new mortgage loan. Even if you're approved, the amount you're approved for may be less than you were expecting. Can Debt Be Added Into a New Home Loan? If you're planning to apply for a mortgage loan, consider paying off, or paying down, your credit card debt. According to Liz Weston of MSN Money, you should keep your credit card debt at or below 30 percent of your credit limit, and 10 percent is ideal. Less debt may help you achieve a higher credit score. A higher credit score may lead to an easier loan approval at a lower interest rate and for a greater loan amount. Also, if you're already pre-approved for a mortgage loan, avoid charging up more credit card debt prior to closing. The lender may run your credit again at the time of closing. Increased credit card debt may increase your debt-to-income ratio and cause the lender to rescind your loan approval, according to Bankrate. LendingTree: What Credit Score Do You Need To Get a Mortgage? myFICO: FICO® Scores Could Save You Thousands of Dollars Each Year On Your Mortgage.